While she’s a vampire in the original manga telling of the story, she’s just a Lemure who everything thinks is a vampire in the anime version. This, however, doesn’t really change the end result of what we’re talking about it. Because really, I’m not actually concerned about Lilica herself, or the degree of her vampire-ocity. 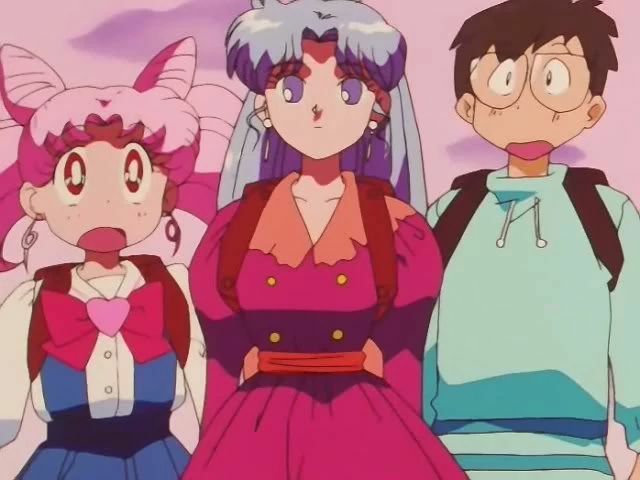 Ami telling it like it is… VAMPIRES! No, what we’re talking about is the absurd leap of logic that Ami makes in hearing all of the details and telling ChibiUsa that the story of her and Kyuusuke witnessing Lilica eating flowers is the nail in the coffin of the girl being a vampire – pun absolutely intended. So what does Ami know that I don’t? The titular Poe family in this manga are vampires who live off of feasting off of the blood of humans, as vampires are wont to do. But in addition to blood, they also could derive energy from eating red roses (and the extract therefrom), which they also did throughout the series. While I was about willing to call it a day, I was feeling a bit worried about calling our favorite girl genius out for fan of a then-20 year old comic. Fortunately for us – and Ami’s reputation! – this isn’t where the vampire connection ends. 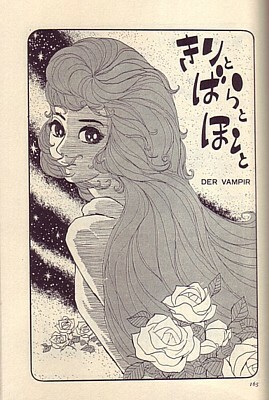 In fact, I even have reason to believe that Naoko’s story is inspired by the even earlier Japanese story of vampires. 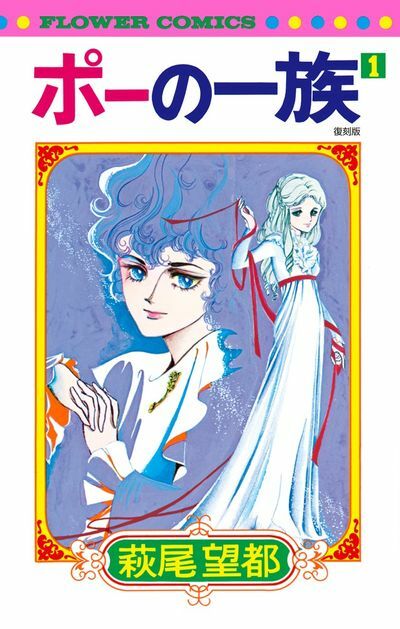 According to an interview with Moto Hagio, his manga was inspired by an even earlier story: the 60-page one-shot manga written in 1962 by Shotaro Ishimori titled Mist, Roses, and Stars (きりとばらとほし; Kiri to Bara to Hoshi to). The story is broken up into three parts: Mist is set in the past (July 1903, in Austria), Roses is set in the present day (1962, in Japan), and Stars is set in what was then the future (September 2008, in America). The story follows our protagonist, Lily, who is bitten by a vampire and forced to continue living on through the generations. Now, I don’t know about you, but the name “Lily” here sounds awfully familiar to me. 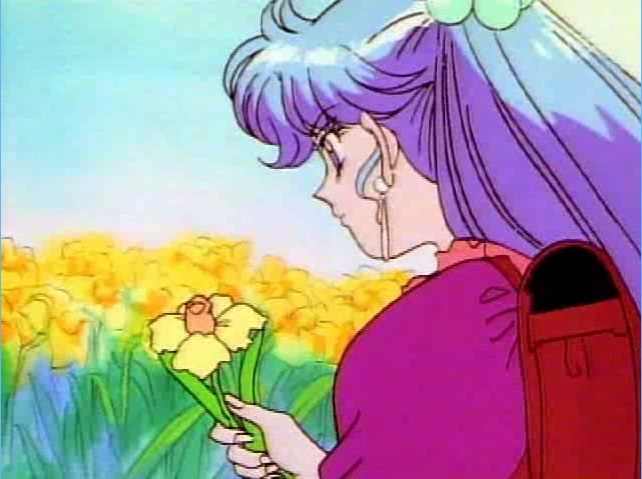 Could it be that she is the inspiration behind our Lilica, the girl that Ami so deftly identifies as a vampire due to her flower-eating habits? I’d almost be willing to bet on it, though there is a small problem with the fact that, in Shotaro Ishimori’s original 1962 telling of the story, holding a rose would actually cause the the rose to wither and scatter away,3 which is very different from eating it. In case you’re curious and interested in doing some further background reading, as it turns out, these stories were actually based on even earlier works of fiction, but this time from the west. I’m telling you, the plagiarism borrowing in old Japanese stories is really impressive. I’m looking at you, Tuxedo Mask! … and, to the best of my knowledge, none of those depict vampires eating roses. 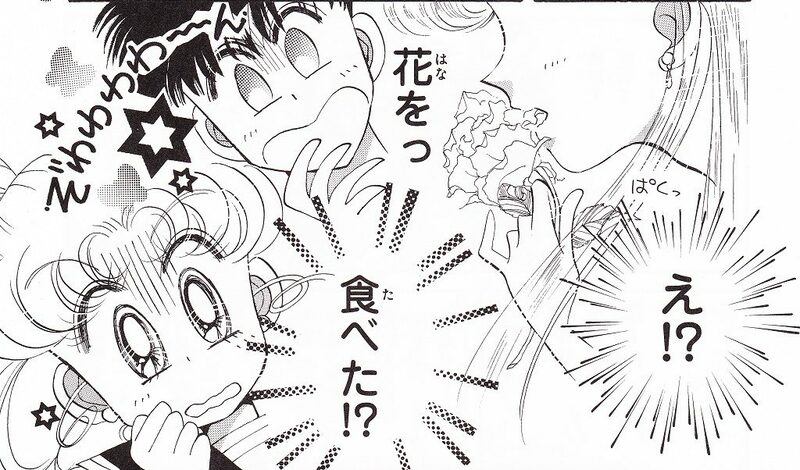 Ami’s foolproof evidence – flower eating! So there you have it, folks! All the information you could never possibly need regarding Japan’s shojo manga history with vampires! The short version of the story is that, basically, The Poe Family is an incredibly popular manga of that generation (even my wife recognized it from a single page up on my monitor as I wrote this!) and eating roses was an important thematic element in that story. Considering that Ms. Takeuchi would have been a kid reading manga at that time, she definitely would have been familiar with this story. As for why our girl vampire doesn’t eat roses in either the manga or anime, well, that’s open for speculation. But my guess is that it’s because roses are a significant part of the Sailor Moon story and that it would seem a bit out of place for her to be eating them and yet have no mention of Tuxedo Mask. Hopefully this was as interesting for you to read as it was for me to research it! Does this change how you look at the story at all now, knowing that there’s all this history behind it? I know that as I’ve learned more about Japan, the way I see anime has completely changed, but I’d love to hear about you! Interesting! This also reminds me of Marceline the vampire from Adventure Time who eats the color red. I wonder if that was based on some of these as well. It’d be a pretty obscure reference if so! But it’s interesting to see similar concepts pop up elsewhere! I wouldn’t blame on poor Ami-chan that she was reading a 20 yo manga. You can easily get Hagio Moto’s mangas 40 years later. Even my 10yo DD has read several of her mangas and liked them. They are just great (though I found the constant mixture of old Greek culture with some far future strange in the beginning.) Btw. A A’ was a manga I found in a book store in Europe and bought it just because it was an English manga. And then I was really in for a good surprise.